François is our new science teacher. With many years of experience she was thrilled to see some of the teaching tools that have been brought to Rwanda over the years. Kits made by teachers about butterflies, insects, magnets, amphibians and reptiles. 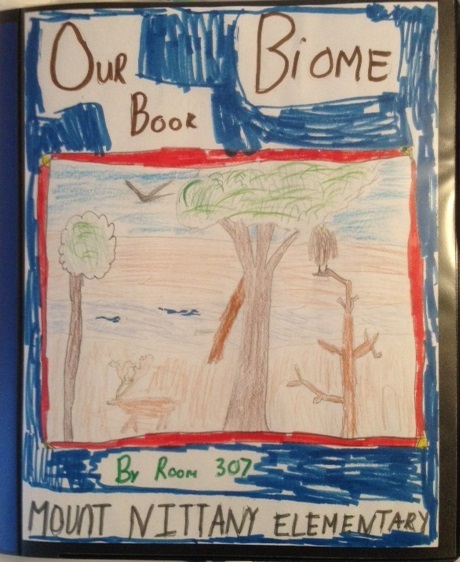 This year she worked on biomes with her students choosing 1 to draw and write about. Thanks for the great books in the library! After they finished they loved comparing how they depicted a particular biome and how a student in the US did. They were quite similar! Francois provided a new list of science topics that she could use additional resource and teaching materials on. If you are interested in helping please contact Carol Falke at falkes@verizon.net and she can share what is being requested.